Toki is a remake of a 1989 arcade classic that you either remember fondly or have never even heard of before. My first encounter with this cult shoot ’em up platformer happened to be with an Amiga port that an old friend of mine got back in the early ’90s from Bury Market. It’s a game that I vaguely remember being tough as nails, although, playing it using nothing but the keyboard as a pad-loving Nintendo fan probably didn’t help. This recent remaster has been trying to climb towards the sun for over a decade now, but, for whatever reason, it’s somehow managed to stay lost within the shadows of vapourware. Well, as it happens, Toki finally found the strength to climb out of the undergrowth and exclusively onto the Nintendo Switch. The question is, can this long lost classic appeal to a modern-day crowd while catering for the small fanbase that remember it? For the 90 percent of you who have no idea what Toki is all about, let me fill you in with a brief synopsis. Basically, you play as a Hollywood-chiseled Caucasian jungle-dweller out to save his kidnapped surgically enhanced dollybird girlfriend from an evil witch doctor. Unfortunately for him, the witch doctor (who goes by the name of Vookimedlo) doesn’t seem to be all too bright as the spell he uses to turn you into a primate also happens to grant you the ability to spit out an endless supply of energy balls. This leads to Toki using his new-found ability to blast his way through multiple themed stages, reclaim his damsel in distress and reverse the curse that now lingers upon him and his native land. The first thing that you will notice is that Toki is beautifully drawn. The backgrounds are full of colour and density while accompanied with larger than life character design and a re-tuned soundtrack to boot. The animations themselves keep in best effort to fall in line with the frame count of the original while flowing nicely and exaggerated in both movement and when enemies are being destroyed. The same can be said about the end of level bosses. While a good portion of them can be quite easily overcome by simply standing in the corner of the screen and being spit-spammed at, the designs that have been redrawn to enhance their original design really does emphasise their personality and structure. Just like the original, it’s not the fastest moving platformer out there. In fact, Toki just kind of dawdles across each stage like a stoner searching for a takeout. Not to say it isn’t a good game though, it is. Toki has the ability to climb swim, collect handy power-ups and take on enemies with a multi-directional firing range. The controls do happen to be squeaky tight also, bringing the priority ingredient for a fun retro experience. However, in being an old-school arcade game, it’s not a particularly long adventure. While the challenge is no walk in the park, the easier difficulty options do attempt to soften the formidability of arcade brutality with a higher cap of lives, continues and the ability to deal more damage. Unless you’re willing to work to ace the hardest difficulty, once you understand the forthcoming enemy pattern you can have the whole thing clocked within an hour. This is where the Toki experience kind of falls apart. The game presents itself is just as it would be on an arcade machine. There are no extra modes, options, artwork or background of its history to signify any form of celebration that this game has been resurrected. The original arcade version in all its late ’80s goodness is nowhere to be seen, either. Unlike recent HD remakes that will go out of their way to swap the visuals on the fly, this remaster seems almost ashamed that the original existed in the first place which is an absolute pity. Where things get even less forgiving, is that the game costs more than something like the content-rich Shovel Knight: Treasure Trove. This basically means that, unless you are a massive Toki fan, $30 for a such a short game that you have probably never heard of and lacks any extra features is kind of pricing itself out of the market. For those who are on a nostalgia trip for Toki are probably best getting the Toki Retrollector Edition. At least then you get a cool comic book, prints, stickers and an arcade cabinet to build to cradle your Nintendo Switch. Unfortunately for me, I never got to play around with the special edition for this review. But, from what I have seen, it provides enough to warrant the price tag far more than the digital download. On the whole, I found Toki to be much more playable and enjoyable than I had initially expected. The gorgeous new art direction and classic level design suits its resurgent makeover to stay fun even after nearly 30 years. However, pushing this remaster out the door with no original arcade addition as well as reflect on its steep price point does make a purchase harder to recommend. 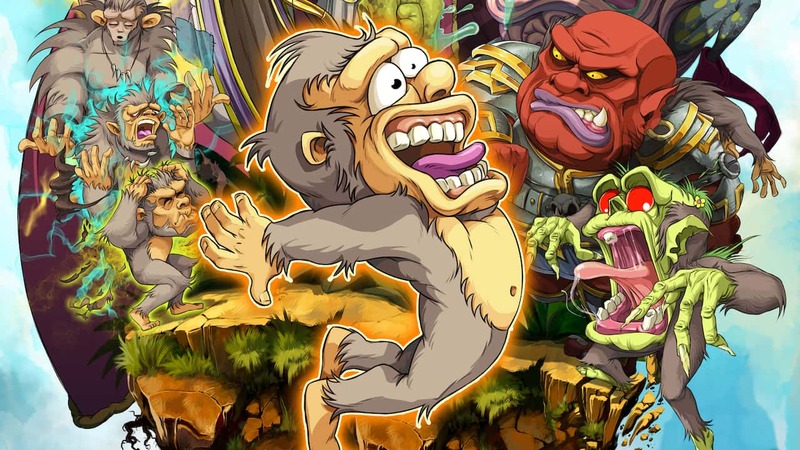 With that said, if Toki does find its way into a Nintendo eShop sale it’s definitely worth diving into. There’s a reason why it has a cult following and after playing through it twice it’s easy to see why.